Businesses who communicate with their customers via SMS are in luck - with the Ytel API, your business can send and receive texts within the API through local, toll-free, and short codes. Read on to explore how Ytel can ramp up your business through SMS in compliant, strategic ways. Businesses who communicate with their customers via SMS are in luck - using the Ytel SMS API, your business can programmatically send and receive text messages (SMS) and MMS (multi media messages). If your business is looking for new ways to communicate with customers and leads, SMS is a great way to build new marketing campaigns, create more conversations, and amplify lead generation to close more deals. With initial open rates in the 98% range, and 90% opened within 3 minutes, SMS has become the go-to channel for immediate communication. If you're looking for an avenue that can increase your contact time and boost outreach, SMS is a strong contender for any business. With the Ytel SMS API, users can craft branded messages based on unique events or actions taken. Ever gotten a text from a short code? Short codes are 5-6 digit numbers that businesses use to communicate with their audience in memorable ways. For example, Obama ’08’s dedicated short code was 62262 or “Obama” spelled on a dial pad. Campaigns focused on building momentum should strongly consider a dedicated, branded short code. Use short codes to launch marketing campaigns, send alerts and notifications, and much more. Using Ytel's SMS API, your business can maintain powerful branding using a short code and build massive momentum for your campaign. Ytel is a full-service carrier, meaning we have access to 98% of routes across North America. Your business is safe with a company-owned network who maintains direct relationships with the leading voice and data connections without the middleman. What this means is simple - you'll never worry that your messages aren't delivered. Unsure of the rules and regulations in place for SMS that protect consumers? It can be intimidating, but you don't need to worry. Our in-house carrier compliance team works directly with our customers to ensure they're sending messages and running campaigns that are compliant and within the standards set by the FTC and TCPA. How can your sales team use SMS for their internal team? Picture this: Did a lead just interact with your business? Shoot an SMS to your entire sales team within seconds to notify them. Shortening your lead response time will equate to more conversations, more closed deals, and more happy customers. SMS will drastically increase productivity and deals won for sales and marketing teams through shorter response times and faster contact! 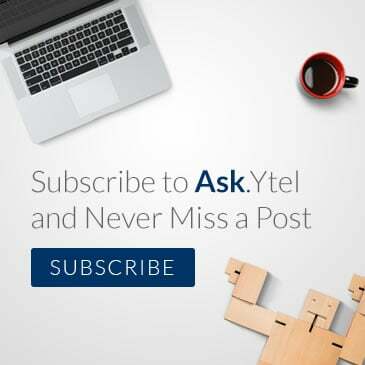 Click here to get started and experience the power of Ytel's SMS API.